Warehouse Services is a high level professional furniture handling company. Founded and still managed by Peter and Kim Pytlik, this 30 year old company retains some of its original clients. Our Pro Mover and Certified Mover credentials distinguish us from the competition. The trained and experienced staff expertly manage your goods from receiving and inspection through climate controlled storage to delivery in your home or office. Explore our website or visit our Naples location to get to see the Warehouse Services difference! Warehouse Services was founded and still owned today by Peter and Kim Pytlik. Pytlik, a Wisconsin native graduated from the University of Wisconsin- Stout and moved to Naples in 1987. With a previous career in country club management and a baby in tow, the Pytliks started Warehouse Services in 1988. Kim would run the office and Peter would make deliveries. The company has grown to 16 employees, eight trucks and three warehouse facilities with a sister company, Surroundings Fine Furniture and Consignments, which opened in 2004. The Pytliks have three children, one of whom is the next generation of operating Warehouse Services. 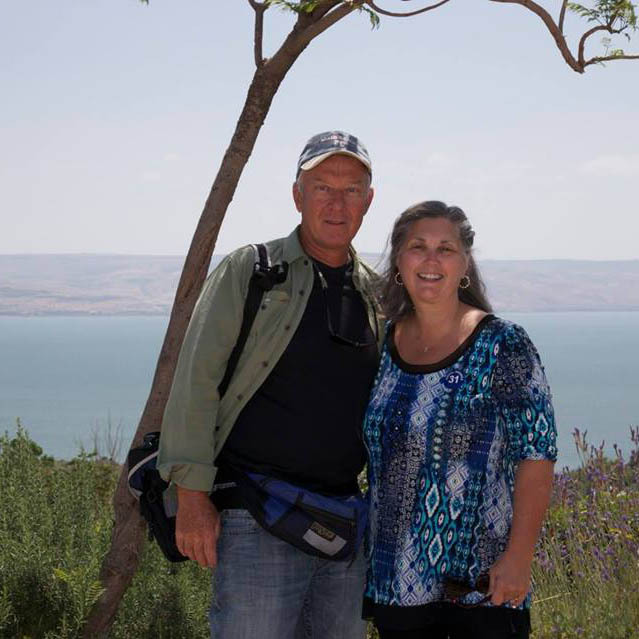 Peter and Kim strive to bring the influences of their Christian faith to all of their relationships. We are proud of our 30 years in business. We opened in August of 1988 and have remained under the original ownership and management of Peter and Kim Pytlik. Our succession plan includes our son Jake who came out of The Citadel in 2015 and has been working in, learning and growing the business full-time since then. Thank you for all multi-year (and in some cases generations) patrons of Warehouse Services. We are only successful when we serve you in a way that makes you continue to return. Appreciation and gratitude is deep! We are proud of our team’s dedication and hard work. Their longevity on the job makes it easier to develop better relationships with our clients. Congratulations to Sylvie, Rolando and Patrick—each has been with us 9 years! I used these guys to move about 2 bedrooms worth of furniture and a lot of boxes from my rented storage facility in Naples to a 3rd floor condo also in Naples. I had a good experience with them. For over 25 years, Janet Bilotti Interiors, Inc. has relied on Warehouse Services for professional, timely, and diligent service for receiving, delivery, and installation. The employees treat all our clients with over the top white glove service. Whatever is asked for, the word NO is never the answer. Born in Naples, Jake has worked at Warehouse Services since middle school and became full-time since leaving The Citadel in 2015. Jake is heir apparent to the company and is cultivating his management skills while working shoulder to shoulder with our professional crews. Originally from Quebec, Canada, Sylvie has been residing in Southwest Florida for 20 years. With over 40 years of office experience, Sylvie joined the Warehouse Services team in 2009. When she's not busy in the office, she likes to spend time with her fiance and two adult children. Originally from Atlanta, Georgia, Adam has been with Warehouse Services since 2015, bringing his 10 years of experience in the industry with him. In his free time, he enjoys spending time with his wife and two children. Hailing from Atlanta, GA, Patrick has been a resident of Southwest Florida for 16 years. A veteran in the industry with 20 years of experience, he has been with Warehouse Services since 2009. When he's not working, he likes to spend time with his wife and two children. Born in La Ceiba, Honduras, Rolando has been living in the U.S. since 1999. With 15 years of experience in the industry, Rolando has been with Warehouse Services since 2004. When he's not working, Rolando enjoys spending time with his son. Ralph hails from Ann Arbor, Michigan and has lived in Southwest Florida for 11 years. With 20 years in the moving industry, Ralph has been with Warehouse Services since 2013. He enjoys spending time with his wife and two children in his free time.